The largest flora event, Putrajaya Flower & Garden Festival is back again in Putrajaya and it is expected to create another round of storm among flowers enthusiasts. This flower and garden festival that held annually is now a symbolic event for Putrajaya – being the largest event thus far with over 1 million visitors recorded in the past year events. 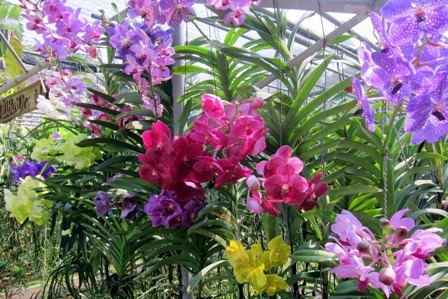 With the theme “Orchid – Tropical Treasure” for this year event, it is expected to attract at least 50% more visitors especially the Orchid nerds. This festival is not only perfect for the flower lovers but also well preferred for the photographing enthusiasts. If you are currently planning for a vacation in Malaysia, particularly in Kuala Lumpur, be sure to check out this event that features a great diversity of flower species across the region. Romantic hotel atmosphere, fast internet speed and beautifully designed spa concept room. Fast internet speed, nice swimming pool with pool bar and good breakfast. Spacious room, big lobby and nice garden. Nice hotel design, comfortable bed and close to shopping mall.